This stunning SS wagon has just arrived. 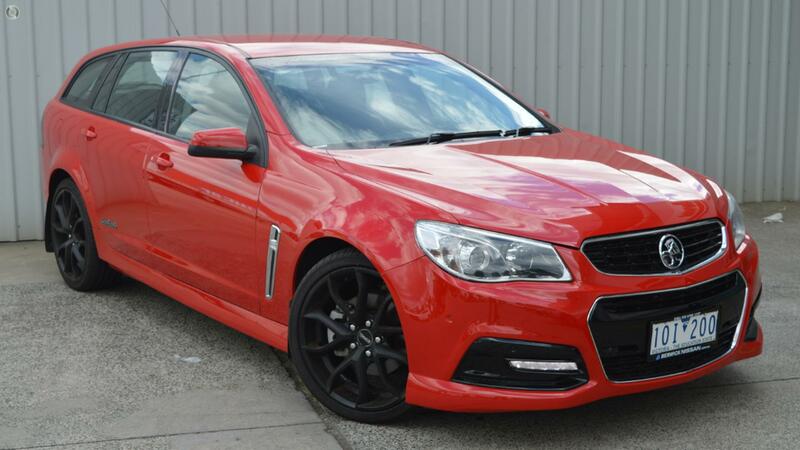 With Holden no longer making V8s, these beasts are becoming highly sought after! This one is guaranteed to impress in both looks and performance! Once you hear the roar of this beast you'll want to take it home! Don't miss out! ^ $122 per week is available to approved applicants only. WARNING: This comparison rate is true only for the example given and may not include all fees and charges. Different terms, fees or other loan amounts might result in a different comparison rate. Excludes government, rental and national fleet customers. This offer is based on a consumer loan with 60 monthly payments of $530.54 and an APR of 9.99% with $1,000.00 deposit and a balloon payment of $7000. Total amount payable $39,832.38. Conditions, fees and charges apply. Hallam Pre-Owned Cars reserves the right to vary or withdraw this offer.